Freedom is not free. It never has been or ever will be. Throughout American history there has always been a cost for the freedoms people take for granted every day. That is what needs to be remembered on Veterans Day: that veterans pay the price for the cost of freedom. Veterans Day is a day set aside once a year for the sole purpose of remembering the vets who have served and dedicated themselves to protecting others. 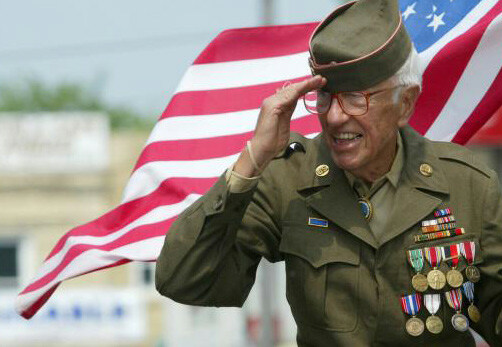 Although Veterans Day itself is just one occasion to honor vets, it is important to remember them throughout the year. After all, military service isn’t performed just one day out of the year and freedom is not won in one day. Historically, the armed forces have always been a protection force that has kept the country safe from the powers which threaten to undermine liberty. Going as far back as the time of America’s founding, veterans died in the Revolutionary War protecting citizens’ rights that were threatened by the British. In today’s world, veterans live and die protecting citizens from the threat of terrorism, whether foreign or domestic. They answer the call to action with little regard for how military service will irreversibly alter their lives and the lives of their families. Servicemen sacrifice their time, strength, gifts, and sometimes even their minds. Veterans lay down their lives for people they don’t even know and protect individuals they don’t even see. That’s just what they do. At one point in time, nearly everyone in America knew someone in the military or had family in the armed forces. In 1940, the Selective Training and Service Act was passed: the first peace- time draft enacted in US history. When World War II began, this legislation required all men ages 21 through 36 to register with the military. More than 10 million Americans were inducted and 45 million registered between 1940 and 1946. During this time, everyone knew the significance of Nov. 11th: a day that was once called Armistice Day in the US, but was formally changed to Veterans Day in 1954. For decades, the draft affected all American families on some level. Since the draft ended in 1973, there have been generations of Americans who have emerged with no military affiliation at all. This has contributed to a growing cultural divide between American citizens and the people who have sworn to protect them. Some might go as far to say that many Americans today do not necessarily understand the price veterans have paid and continue to pay for their rights. This sentiment is strengthened when the public observes elected officials who feel they can eliminate certain health care benefits for the armed forces with the goal of diverting federal funds or saving money. Health services for vets are critical at a time when servicemen have come back from war irreparably changed by their experiences and need care. On average, 22 veterans commit suicide each day. Cutting costs at the expense of veterans fuels a belief that people today just do not look upon them with the same amount of importance as they did in previous decades. Regardless, veterans sacrifice for American citizens and all they ask is for us to respect their sacrifice. Junior Cori Pretty Weasel, a Navy veteran and RMC student, spoke on what Veterans Day means to her. Pretty Weasel served in the Navy for seven years. She was stationed on board the USS Whidbey Island in Virginia Beach, Virginia. She also worked on staff at a Navy Reserve Center in Indianapolis, Indiana. In honoring vets on Veterans Day and any other day throughout the year, simple things people can do include paying for a veteran’s meal, volunteering at a VA clinic, or simply having a conversation with a veteran to show appreciation.